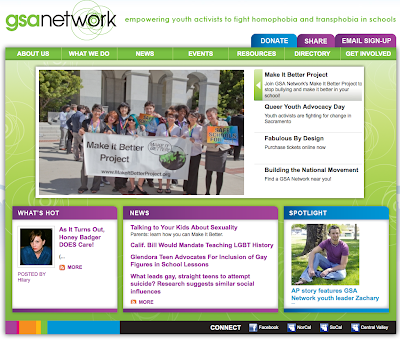 So I recently attended a conference session on empowering youth activists to fight homophobia and transphobia put on by the Gay-Straight Alliance Network. when talking to a group of people who maybe aren't all guys. And for those who aren't guys, the expression is a not-so-subtle reminder of male privilege and the patriarchal power structure of our culture. I know I say "you guys" all the time. But now that the problem with the phrase has been pointed out to me, I know I can do better. We all can. ... and I'm open to your suggestions, too. What are some other good options to "you guys?" So let's all take the challenge to make our world a less gender-biased place, and let's all watch our words! What do you say, you all? Selling my soul to the German language has given me "ihr" (pronounced "ear." Hey, they have so many English loanwords, I think we have the right to borrow more than kindergarten and glockenspiel). And four years of high school Spanish gave me "vosotros." Then I realized that "vosotros" is also gender inequal (feminine version: "vosotras"). The thing about Spanish, though, is that every single word has a gender connotation. There is no escaping it; if you want to talk about "the [noun]", you have to use either "el" or "la." However, in languages that have gendered nouns, the connotations are not absolute. In German, "girl" (das Maedchen) is neither male nor female, but neutral (because it has a diminutive suffix that makes the subject neutral, if anyone was wondering). However, no one in Germany has the slightest bit of confusion in calling a girl "it." A second example: I am reading a book (in German) in which the main characters are sheep - "Das Schaf" in German, also neutral. This makes it confusing to read a story in which a character might be referred to as "it" in one sentence and "she" or "he" in the next. But it seems to work for the Germans. In other words, the gender of a word may have little or nothing to do with the gender of its subject. Granted, English does not have the same genderization of nouns as many other languages do. Still. I do not have a problem with "you guys." In my mind, "a guy" is exclusively masculine, but "you guys" is gender neutral - I have referred to a group of all females as "you guys," and no one called me out, so it might be a trend. The thing about languages is that they evolve. Meanings and connotations change over time - just look at "gay"! So perhaps it is not the words we need to change but the meanings. Or perhaps injecting another set of prounouns into a language is easier than changing an entire population's concept of gender. It would certainly be simpler. my dad used to refer to all of us as "knuckleheads" guys/gals alike. that seems to work. I am a southern transplant, and while I'm not always fond of the politics I've got to say that I love the y'all. It's such a useful phrasing, I don't know why it hasn't caught on everywhere. The drawl part isn't even necessary - it's more of a running together of you all.